At the Microsoft Store or on Amazon while supplies last you can pick up a great deal on the Lumia 830 Windows Phone on AT&T. If you sign up for a new 2-year contract or are an existing customer and want to upgrade, you can get the Lumia 830 plus a Fitbit Flex all for free. Keep in mind that just last week this was $99 and the Fitbit Flex (which has been free with the 830 since November of last year) is an additional $90 value. Basically you walk out of the online store with a great phone that at one point was $199 on contract for free. For those of you who don’t want to get a new contract and would rather buy the device outright, you can do that too at the new low price of $399 which is $50 off the regular price. Oh, and you still get the Fitbit Flex. For the first time you can now get a Lumia 830 unlocked from the Microsoft Store for only $499. The “Affordable Flagship” phone has to this point only been available either on or off contract from AT&T but today it because truly unlocked for anyone user on any network. The $499 price is only $50 more than what you can get it off-contract from AT&T at the Microsoft store. The AT&T Windows Phone options for customers and those looking to move to the carrier will take a nice step forward this week. Yesterday the carrier announced that the Microsoft Lumia 830 and HTC One M8 Windows Phone will both be making their debut on the their network on Friday, November 7th. Customers will have the choice of no less than four Windows Phone devices with AT&T, with the Lumia 635 and Lumia 1520 to the lineup. 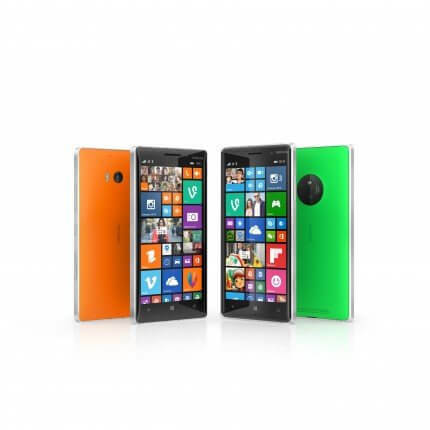 Microsoft today announced the availability of its affordable flagship Lumia 830 in the UK, priced from only £24.99 pm. Features include premium design, PureView imaging for superior picture quality and integrated Microsoft services that work straight out of the box. The affordable Lumia 830 makes high-end innovation available to more people than ever before. Cortana – your very own personal assistant. She is there to make things easier for you and to make sure that you are always up to date on the things that matter most. camera with ZEISS optics, multi-mic Rich Recording, and Lumia’s thinnest optical image stabilisation system to date. The chance to capture expressions and emotions with Living Images that make your photos come alive. These are easy to share on social networks using the integrated Storyteller app. The latest software – Windows Phone 8.1 including the new Lumia Denim software enhancements. It means faster and easier connections to everything and everybody that matters most to you. Great software like Cortana, Microsoft OneDrive and Microsoft Office with Outlook, Word, Excel and PowerPoint for leading productivity on the go, ready installed, straight out of the box! A massive 15GB of free OneDrive storage – sync and instantly share pictures and content with friends, family, and colleagues on the go across all your devices. .
A world of apps including Instagram, Adidas miCoach, Vimeo, and Flipboard – plus apps that sync across devices so you can be always ready to pick up where you left off. Great hardware design backed by a powerful Qualcomm® Snapdragon™ 400 processor, featuring quad-core CPUs at 1.2 GHz, for super-fast, smooth web browsing and gaming, all delivered on a beautiful, sharp 5-inch ClearBlack display. Inbuilt SensorCore low-power motion sensing which tracks motion and location even while the phone is ‘asleep’ in your pocket – perfect for exercise and exploration – and with apps like Bing Health and Fitness, and Adidas miCoach you can make every step count! A large 2200 mAh battery so you can keep going longer and built-in wireless charging adding convenience (wireless charging pads, car kits and audio docks are sold separately). Yesterday, despite massive live streaming issues, Apple introduced the iPhone 6 and the iPhone 6 Plus, the latest generation of their phones. For the sake of full disclosure, I do own AlliOSNews, a site dedicated to iOS, much like this site is to Windows Phone. But in all honesty, I was absolutely underwhelmed by what I saw yesterday from Apple. If you go purely from a specifications perspective, the new Lumia 830 is on par and in many ways beats the new iPhone 6. Then there is the cost factor. It’s a bit eye watering when you come right down to it. The team over at WPCentral are covering the CTIA event in Las Vegas in the United States this week. Yesterday Microsoft’s Stephen Elop stated that the recently announced Lumia 830 will be in the United States on AT&T by this holiday season. This is great news and certainly news that will make Windows Phone fans in the US happy. The Lumia 830 has all the makings of being successful and getting into a market as big as the US – where Windows Phone ironically is struggling the most – could very much dictate the success of the phone.